After an E3 short on details, Nintendo cuts back. Nintendo has been one of the most successful companies in the videogame biz. Even after relatively poor sales of the Gamecube, the Japanese hardware maker bounced back big time with the casual sales of the Wii. Last year, the handheld 3DS went from critical darling to a snore-fest on store shelves. A price cut and some high-profile games helped sales, but that didn't prevent Nintendo from posting its first annual loss of money ever for the fiscal year of 2011. In response, a report from Japanese paper Nikkei claims the company is slashing the summer bonuses usually given to executives at this time of year. Nintendo President Satoru Iwata famously reduced his own salary by half after the poor launch of the 3DS, but he now has extended that policy to his top executives. Bonuses have been cut by 20 percent across the board. 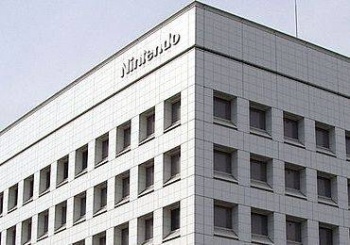 Who knows if this will make a dent in the $531 million operating loss Nintendo reported in April, but it has to help. Of course, if Reggie Fils-Aime - President of Nintendo America - made a big splash last week at E3 and the Wii U was a guaranteed success, all this would be forgotten. But ... yeah.